News came last week that the brand Toys “R” Us who filed for bankruptcy, scrapped their auction of Toys R’ Us assets during a bankruptcy court filing last Tuesday, and plan on re-branding and reviving the company, as apposed to selling it off. 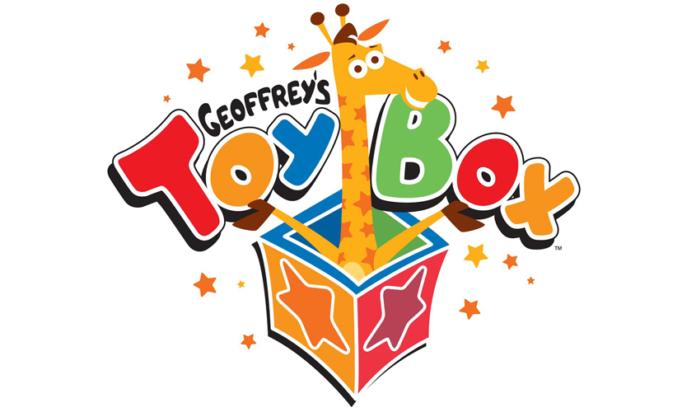 Geoffrey’s Toy Box will launch consumer locations across the country this coming November as a “shop-within-a-shop” concept, initially partnering with “a prominent Midwest retailer.” No word yet on who that retailer might be. 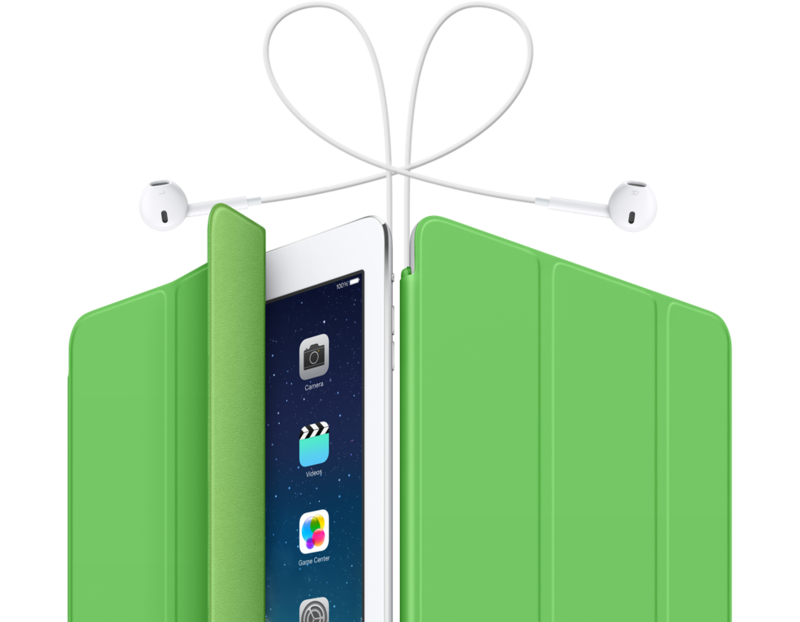 Something new is coming to Barnes & Noble stores! Launching this month at select stores, the new Trend Shop section will be your one-stop shop for all things pop culture! 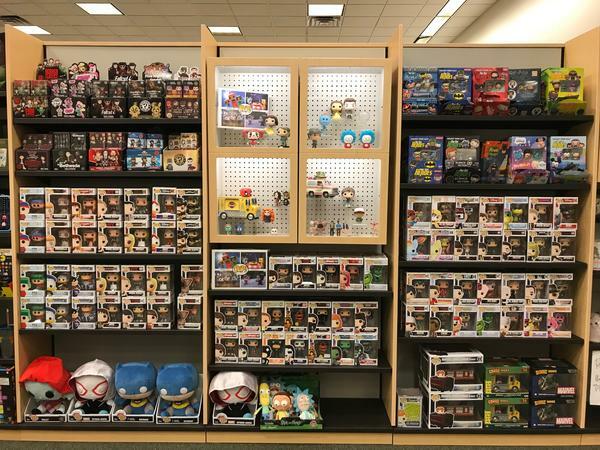 Within the Trend Shop area, there will be multiple sections, including Pop Culture, Super Heroes, Trending Now, Tokyo Direct (all of which Funko is a part of), as well as a dedicated Funko section! More Trend Shops at Barnes & Noble should be popping up soon! If you’re a tech enthusiast, educator, tinkerer, hobbyist, engineer, science club member, author, artist, student, entrepreneur, crafter, or maker of any kind—then this will be of special interest to you! 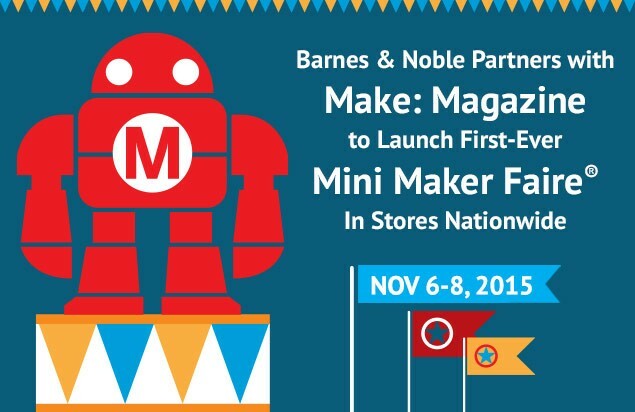 In partnership with Make: Magazine, creators of the Maker Faire, Barnes & Noble is putting on a Mini Maker Faire in all stores nationwide from November 6 through 8. – The Make Workspace: An area to experience the latest technologies in 3D printing, robotics, coding, programming, and more. – Meet the Makers: A special area will be set up in each store for Makers to showcase their projects. You’ll also be able to apply to get more deeply involved with the Maker community. – Make & Collaborate: Get hands-on with Making, sharing, and collaborating. 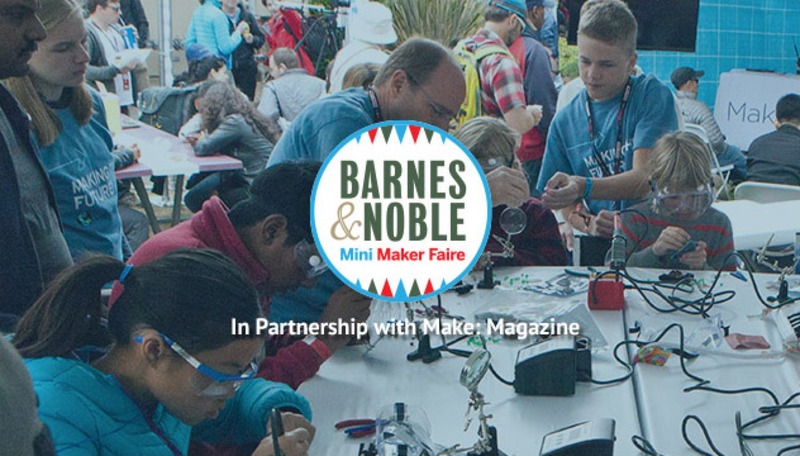 To learn more about the Barnes & Noble Mini Maker Faire and to submit an application to present your project at your local store, visit the Mini Maker Faire page. The application deadline is Friday, October 2, 2015. If you are selected to participate in this inaugural event, you will be notified by someone from the Barnes & Noble team by Friday, October 9, 2015. September 4,2015 A.K.A. Force Friday — the highly-anticipated midnight release of Star Wars: The Force Awakens toys, collectibles, gadgets, and more — is almost here. It will be the world’s first chance to own official product celebrating the next installment of the Star Wars saga, and several retailers have, to quote Admiral Piett, “something special planned.” Check out the special event guide below and may the Force (Friday) be with you! 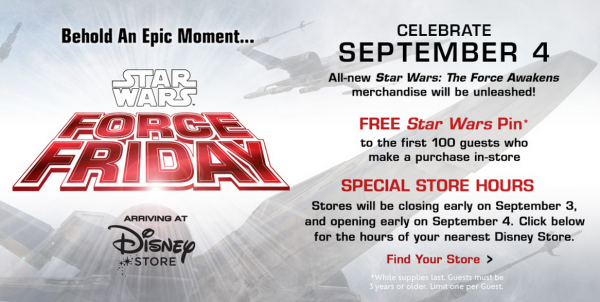 Disney Store: Disney Store locations in New York City in Times Square, Chicago on Michigan Avenue, and San Francisco on Stockton Street will participate in Force Friday midnight madness! 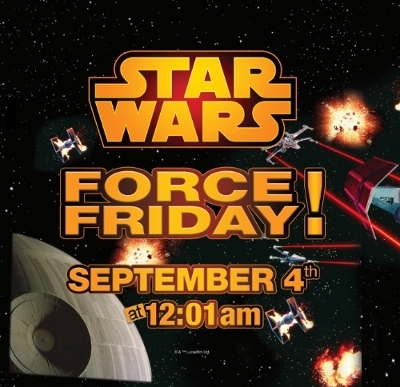 Doors will open at 12:01 a.m. local time on September 4, giving fans the first opportunity to see and purchase toys, collectibles, books, apparel, and more from Star Wars: The Force Awakens. In addition, the first 1,000 guests will receive a free Star Wars: The Force Awakens D23 commemorative fan poster. Disney Parks: At the World of Disney store in Disneyland Resort’s Downtown Disney District and Once Upon a Toy in Walt Disney World Resort’s Downtown Disney Marketplace, fans can join a event starting at midnight! 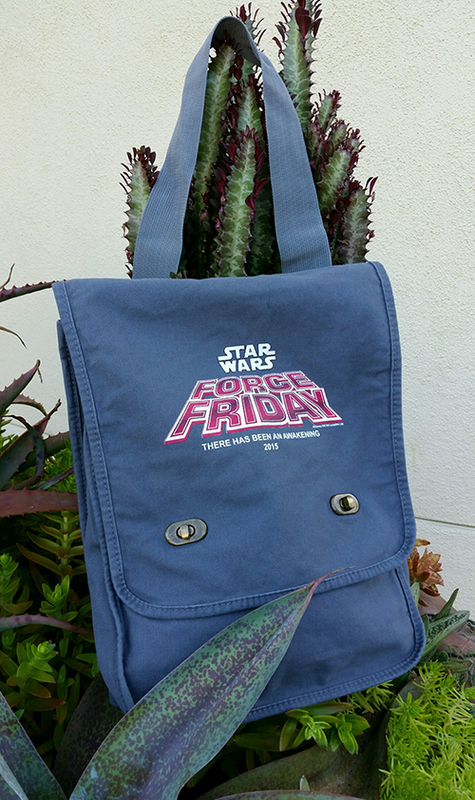 Attendees will have first access to Star Wars: The Force Awakens products and parks-exclusive merchandise, including a Force Friday logo messenger bag. Target: A total of 207 Target stores will open at midnight on September 4, with all the new Star Wars: The Force Awakens items available and more. Visit Target.com/starwars to locate a store near you. But that’s not all. 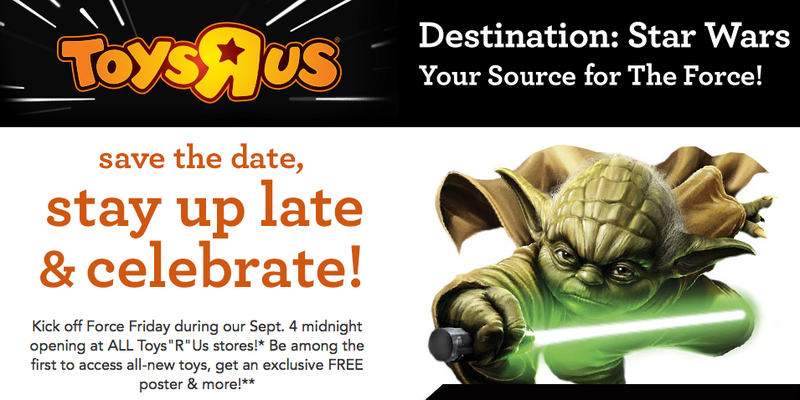 Toys”R”Us: Toys”R”Us stores and ToysRUs.com have launched “Destination: Star Wars“ — a huge celebration and source for all things Star Wars on Force Friday! All Toys”R”Us stores will open at midnight, with special giveaways including a limited edition LEGO Star Wars Commemorative Brick and an exclusive Star Wars poster, while supplies last. Passing on the Comic-Con crowds that descend on San Diego (and the 405 traffic to get there) but still feel like getting your geek on? 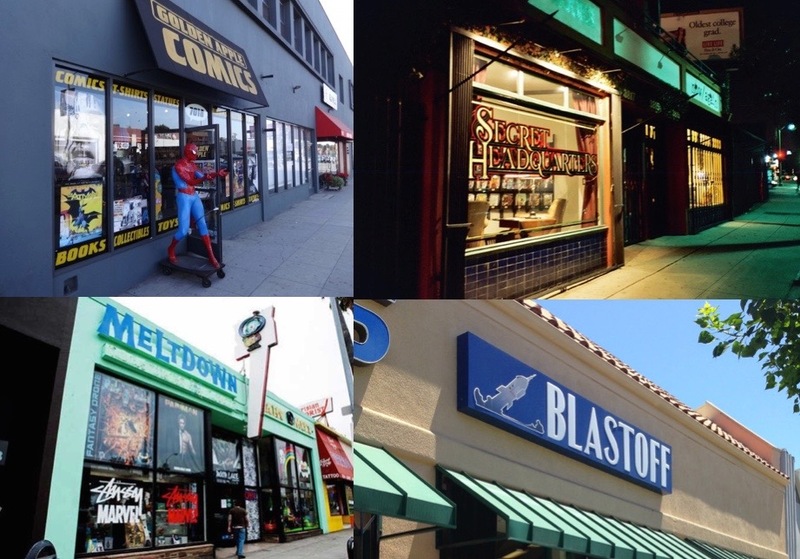 Los Angeles might not have the most comic shops per capita (a source at Diamond Distributors says that honor goes to, believe it or not, Las Vegas), but it does have a high concentration of some of the best shops. And L.A. offers something that no other city can in its comic shops: the chance that you’ll bump into the real-life the Human Torch, Nick Fury or Luke Skywalker (or at least the stars who play them on the screen). HERE are 10 great places to capture some of that San Diego Comic-Con experience without leaving Los Angeles. 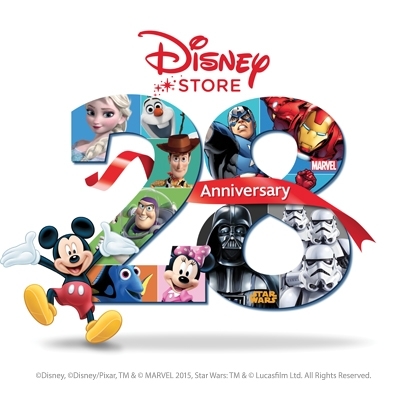 During the 28th anniversary celebration, each Disney Store will host a special opening ceremony, and the first 28 guests to make a purchase in each Store on Saturday, March 28, will receive a free gift. Guests can also participate in fun, engaging activities throughout the day, as well as dance and sing during the Cast Member JAMboree, taking place the 28th minute of every hour. Disney Store opened its first store in Glendale, California in1987, and, in doing so, originated the themed retail model. With more than 330 stores worldwide and ecommerce operations in nine countries, Disney Store and DisneyStore.com are two of Disney’s premier retail destinations, delivering a magical and immersive shopping experience for guests of all ages. Today, more than 200 million people visit Disney Store every year where they find an impressive selection of unique, high quality Disney, Marvel and Star Wars product. Disney Store’s dedicated team of Cast Members, coupled with the award-winning store design, makes every visit memorable. The 80s called … they want their store back. 80s celebrities invade a RadioShack to take back their old stuff and make room for the RadioShack of the future. The ad, titled “The Phone Call,” features icons from ’80s pop culture who show up to reclaim the technology of their decade, helping the brand turn the page on the RadioShack of the past. 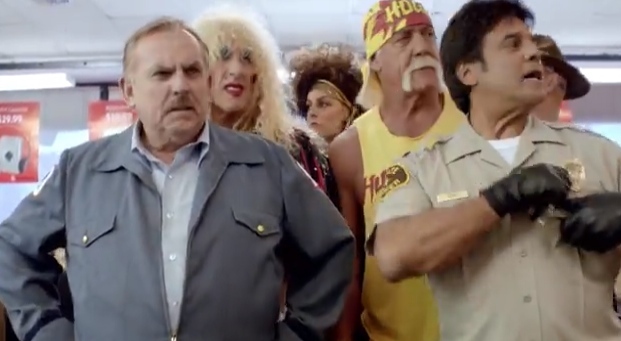 The spot opens in a throwback RadioShack store; an associate receives a warning phone call before familiar ’80s personalities including Hulk Hogan, Mary Lou Retton, Kid ‘n’ Play, and Alf, among others, barge in to “take back” their technology. What’s left is a sleek, modern store that serves as an introduction and invitation for consumers to shop the new RadioShack.